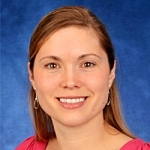 Dr. Briere is a Nurse Scientist and Postdoctoral fellow with a joint appointment at Connecticut Children’s Medical Center and the University of Connecticut, School of Nursing. Her clinical background is as a nurse in a level IV Neonatal Intensive Care Unit. As a nurse in the NICU, Dr. Briere was passionate about getting mothers to hold and feed their babies, and be directly involved in the care and decision making during their infant’s hospitalization. During her doctoral program Dr. Briere’s research focused on the importance of direct-breastfeeding in the NICU. Towards the end of her program, she learned about the presence of stem cells in breastmilk. Since then, she has transitioned into a bench to bedside translation research trajectory where she is studying breastmilk stem cells. Her work is focused on breastmilk stem cells from mothers of preterm infants and their involvement in infant growth and development, specifically their protective and regenerative mechanisms. Direct-breastfeeding is defined as a feeding opportunity where an infant suckles at the mother’s breast. Research has shown that mothers who feed their infant directly from their breast have an increased likelihood of maintaining breastmilk feeds longer than mothers who provide expressed breastmilk in a bottle. In this presentation we will discuss the importance of direct-breastfeeding in the NICU, as well as challenges and strategies to help overcome these. In addition, the latest research on breastmilk will be discussed specifically related to Dr. Briere’s current research.